Disparities in access to palliative care services for populations with social disparities have been reported in Western countries. Studies indicate that these populations tend to report higher symptom distress than other population groups. We need to further investigate how social disparities influence symptom burden to improve symptom relief in these populations. 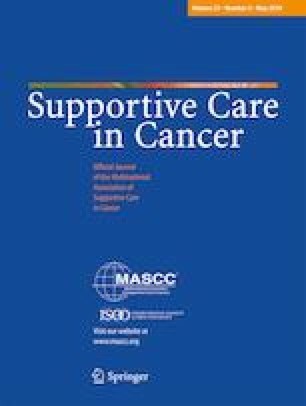 To examine the perspectives of specialist palliative care providers concerning the relationship between social disparities and symptom burden in populations with advanced cancer. Two sequential qualitative studies that followed a combination of interpretive and critical methodologies. The interpretive approach was outlined by van Manen’s hermeneutic phenomenology while the critical component was informed by the works of Paulo Freire. Participants involved two specialist palliative care teams from a large acute care hospital and a large cancer center in Western Canada. Participants included 11 palliative care providers including registered nurses, nurse practitioners, physicians, and pharmacists. Participants perceived that social conditions that might aggravate symptom burden included low income, low education, lack of social support, language barriers, and rurality. The relationship between income and symptom burden reflected diverse views. Participants identified populations prone to complex symptom burden including homeless individuals, Indigenous people, people with a history of addictions, and people with mental health or psychosocial issues. Participants perceived that social disparities may increase symptom complexity in populations with advanced cancer. Participants did not identify ethnicity and gender as influencing symptom burden. Further research is needed to examine the interactions of social disparities, patient individuality, and symptom burden. The online version of this article ( https://doi.org/10.1007/s00520-019-04726-z) contains supplementary material, which is available to authorized users. We wish to thank all the research participants for their generous commitment to study activities. We also thank Alberta Health Services for providing operational approval to undertake these research studies in clinical settings. We thank Dr. Silvana Kempfer, Dr. Célia Alves Rozendo, and ​Mrs. Suubi Rhoda Muliira for their helpful contributions during data analysis.We gratefully acknowledge funding support from the following sources: Study 1 was supported by the University of Alberta Endowment Fund for the Future Support for the Advancement of Scholarship Small Operating Grant (Grant No Pro00037064); and Study 2 was supported by the Canadian Association of Nurses in Oncology Research Grant (Grant No RES0023504). Ethics approval was obtained separately for each study through the University of Alberta Health Ethics Research Board (study 1 Pro00037064 approved on April 22, 2013, and study 2 Pro00051080 approved on September 17, 2014). Informed consent was obtained from all participants. Participants were informed of risks and benefits and their right to withdraw from the study. Steps were taken to ensure confidentiality and anonymity. Data was securely stored in a Health Research Data Repository at the first author’s home institution.